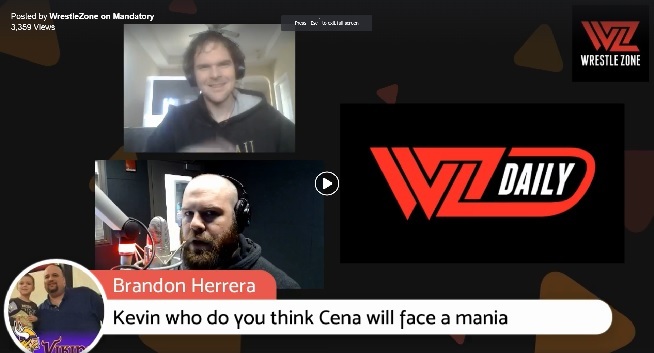 WZ Daily Podcast: What's The 'Money Match' For WrestleMania? Last night Conor McGregor retiring from MMA got speculation running rampant today that he might jump to WWE, but that may seem less likely with even more recent news today breaking. WZ Daily will get into it with 101WKQX’s Kevin Kellam and special co-host comedian Mike O’Keefe. The latest developments on WrestleMania, the fallout from RAW with Drew McIntyre dominating Dean Ambrose, and plus much more. YOU the fans, drive the conversation with YOUR QUESTIONS AND OPINIONS on screen! Today’s big question we want YOU to answer: What is the match that sells WWE WrestleMania to you the most? What is the ‘money match’? Listen to O’Keefe’s comedy podcast all about weddings and how he’s trying to find the groomsmen for his imaginary wedding, Multiple Idiots: Listen Here!